APPLY TODAY AND DRIVE AWAY! EVERY USED CAR IS TESTED AND INSPECTED BY OUR SERVICE DEPARTMENT PRIOR TO HITTING THE LOT. HENCE,WE PROVIDE EACH CAR WITH A 90 DAY OR 3000 MILE WARRANTY AT NO EXTRA CHARGE.WE SPECIALIZE IN BAD CREDIT VEHICLE SALES AND FINANCING. TAKE ADVANTAGE OF OUR BUY HERE PAY HERE PROGRAM. 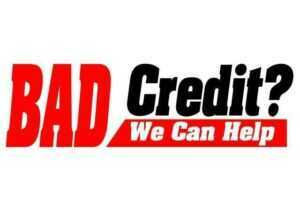 EVEN WITH PRIOR CREDIT ISSUES LIKE BANKRUPTCY, REPOSSESSION OR NO CREDIT OR BAD CREDIT YOU CAN QUALIFY! ALL OF OUR TECHNICIANS ARE QUALIFIED TO REPAIR BOTH DOMESTIC AND IMPORTED CARS, TRUCKS, VANS AND SUV’S. YOUR VEHICLE REPAIRS ALSO COME WITH A 12 MONTH OR 12,000 MILE LIMITED WARRANTY. WE DO TAKE TRADE-INS, REGARDLESS OF CONDITION! We Buy Cars for CASH!!! Submit Your Car Online! Why Not Submit Your Car? We Will Evaluate And Make You An Offer…. WHY DO OUR CUSTOMERS LOVE HIGHWAY MOTORS? Free CARFAX With Every Vehicle!